A fair personal injury settlement can relieve some of the stress that comes with serious accidents. However, not everyone receives a fair payout. By following the following tips, you can try to maximize your personal injury settlement. One of the best things you can do to maximize your settlement is to care for your health. It’s likely that your claim hinges on your injuries. If you go to the doctor for your injuries, you get documentation. The other party will have proof of the harm that occurred. While caring for yourself, spare no expense. Look into all of your possible treatment options and don’t ignore any symptoms. If you feel a twinge in your neck, head to the doctor. Then, follow all of their recommendations. In addition to making you feel better, taking care of yourself will also help your case. The key to a high settlement is evidence. If you have enough evidence against the other party, then you could receive a better payout.You should start collecting evidence the minute the incident occurs. If possible, take pictures of the scene of the accident. You should also get pictures of your immediate visible injuries. Write down the exact location of the accident, and include pictures if necessary.In some personal injury incidents, there are witnesses. Collect information from all of the witnesses, and include details like full names, phone numbers, and other relevant contact information. If you tell a lie in your personal injury claim, that lie could hurt your case. Whether or not your claim goes to court, your statements will be under scrutiny. The other party will thoroughly investigate your claim and look for holes.At all costs, avoid lying or stretching the truth. Keep your claim as factual as possible and don’t try to receive damages for unrelated injuries. In the end, this can maximize your settlement amount. After an accident, you should try to keep a low profile. This means not posting pictures on social media or talking about your accident. If you choose to post actively, you could hurt your case. Often, social media counts are used against victims of personal injury. For example, you might post a picture of yourself lifting something. The other party could see that picture and use it to show that you are not as injured as you make it sound.Talking about your case is equally dangerous. Everything that you say about the incident could be used against you. Although you might be tempted to talk to your co-workers or friends about the incident, avoid doing so. Wait until the case is over. 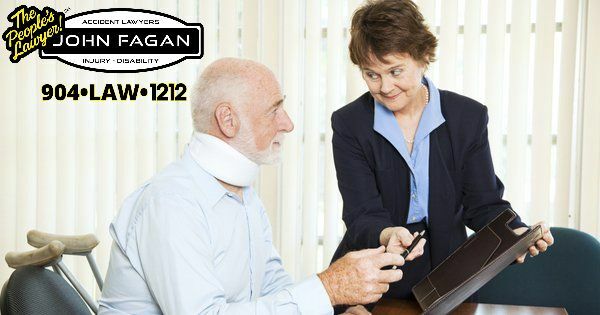 If you choose to work with a Los Angeles personal injury attorney, you improve your chances at a good outcome. A professional understands the many facets of personal injury law. In addition to creating an effective legal strategy, your lawyer can take you through the process. Handling negotiations with a big insurance company or big business is no easy task. They have tremendous resources at their disposal, and usually, their legal representation has experience handling claims like yours.In 2017, 5,147 workers were killed on the job in the US. Although workplace personal injury claims are common, other situations can also involve personal injury. Whether you are at work, at a store, or in a home, you could be a victim of personal injury. By hiring an attorney, you can take action against a negligent party. Someone from Bauman Law APLC can help you.